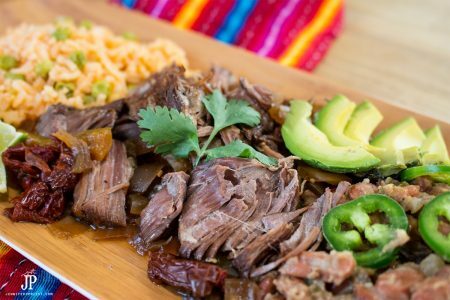 Slow cooker pot roast the whole family will love. This can be used for multiple meals and recipes. Place the roast in the bottom of the slow cooker. Drizzle olive oil on top of the roast. Prepare 1 cube Knorr Caldo de Res Bouillon (Beef flavor Bouillon) in 4 cups of hot water. Pour into slow cooker. Add 4 more cups of water to slow cooker. Cover and cook on low for 6-8 hours or until meat shreds with a fork.